and lowest Gigabit broadband price in the country. 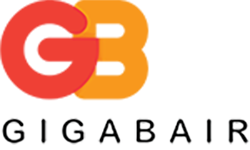 Gigabair specialises in Fixed Wireless Access [FWA]. Delivering business grade broadband our services offer an array of speeds from 30Mbps to 25.Gbps . Specialising in SD-WAN [Software Defined Wide Area Network], Gigabair can offer low cost and rapid deployment in any location within weeks and not months. Our service delivery supports 5Ghz & 24Ghz unlicensed long range delivery with our Gigabit capable metro services delivering up 2Km using 60Ghz.